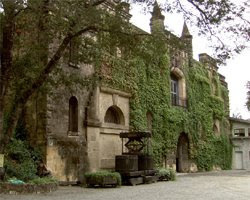 It's been reported that the deal between the owners of Cos d'Estournel and Napa winery Chateau Montelena has come to a halt. News of the reported $110m deal hit the press in June, but Montelena has now terminated the sale agreement, saying purchaser Reybier Investments had been 'unable to meet its obligations'. Chateau Montelena managing director Greg Ralston would not elaborate on the reasons for the deals collapse. When asked if the current economic climate had something to do with the collapse of the deal Ralston told Decanter.com : "Any deal in any industry around the world that has been put up in the last three or four months has certainly hit some speed bumps." There was no comment from Cos d'Estournel managing director Jean-Guillaume Prats.